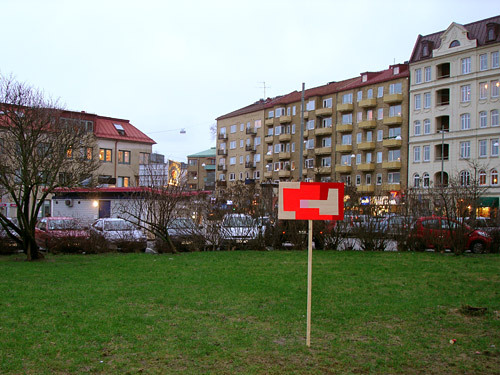 Privé och público (“Private and public”) by three artists from Sweden, Spain and France that all in various way work with and in the public space. 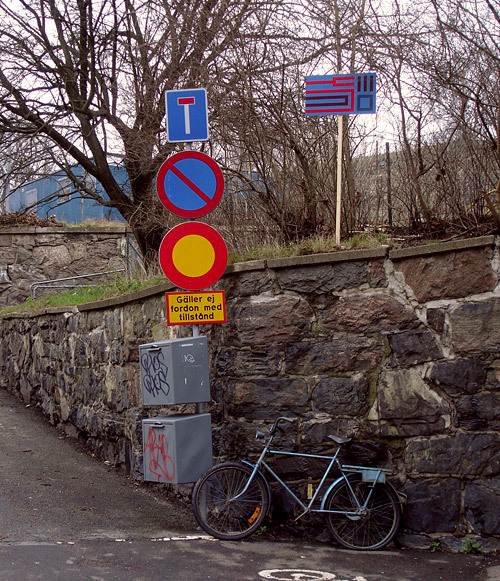 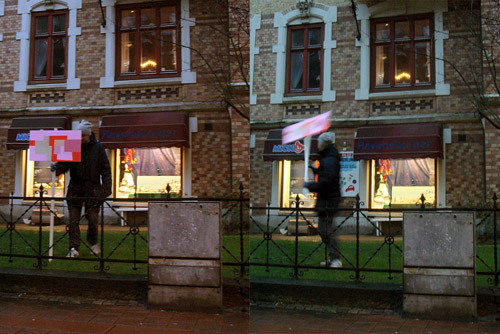 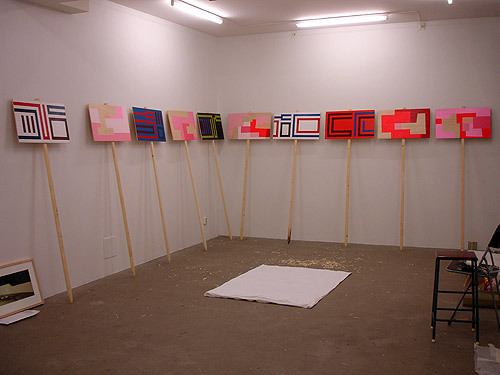 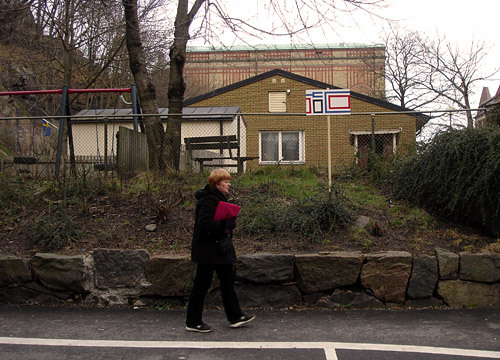 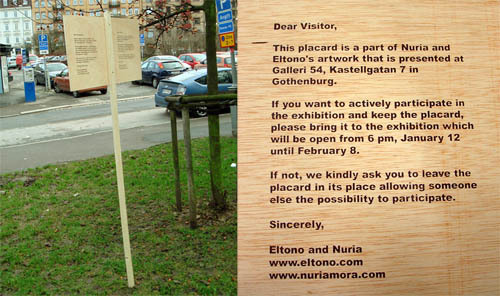 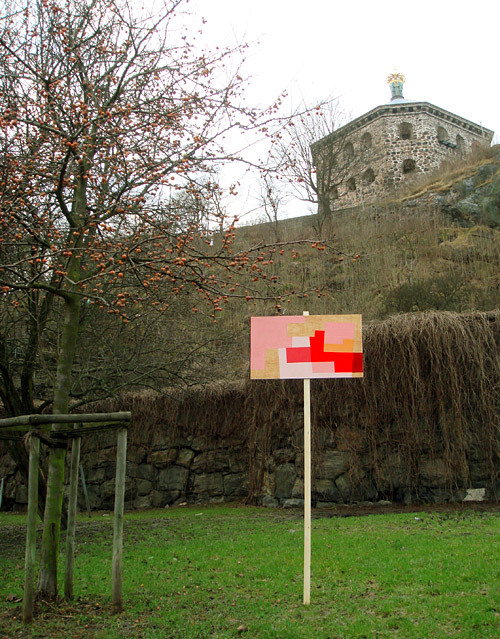 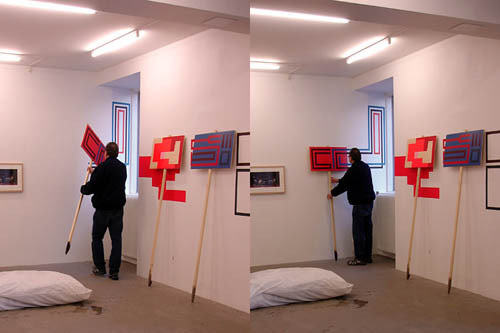 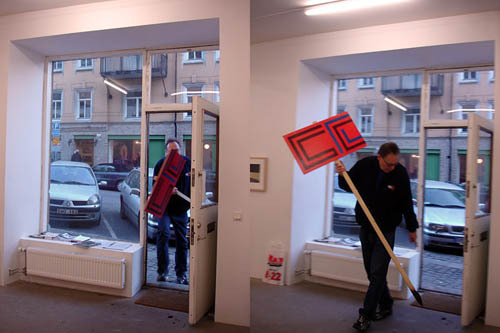 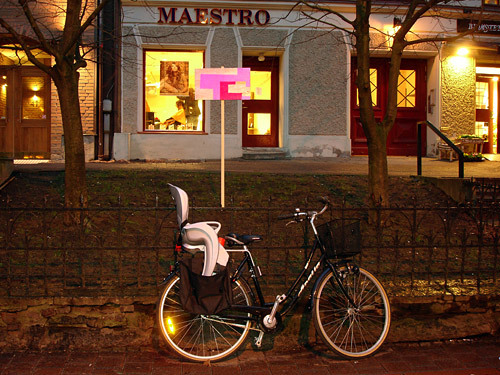 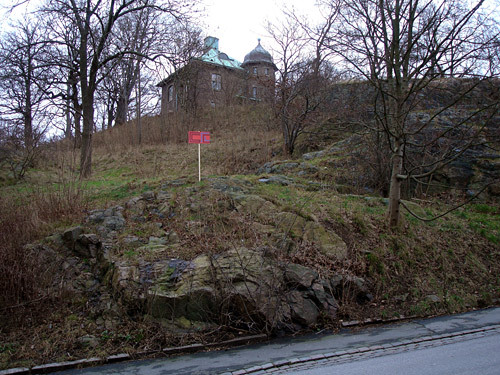 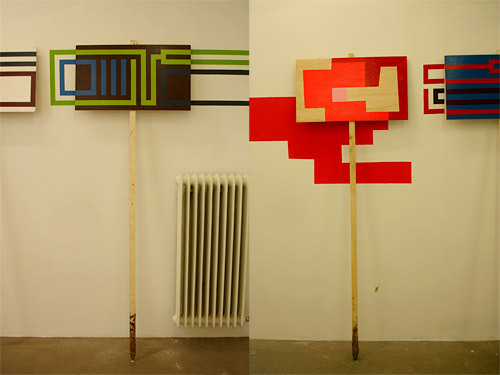 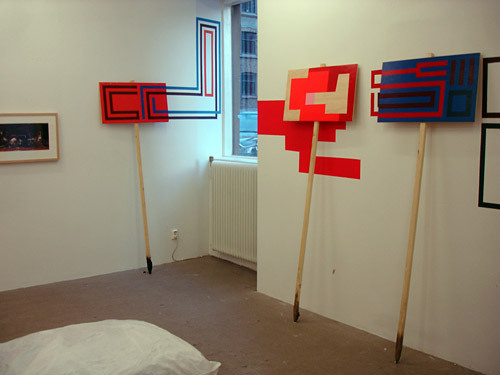 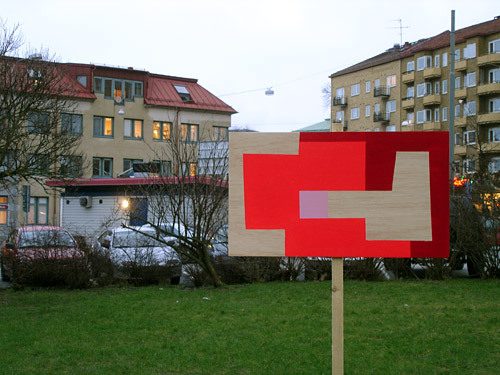 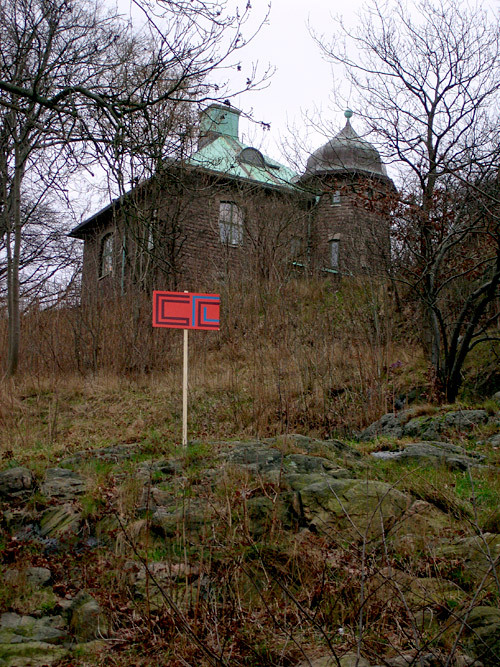 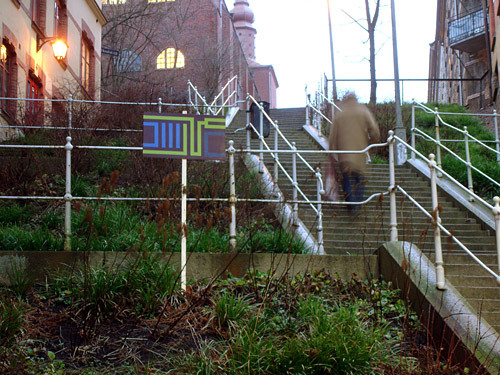 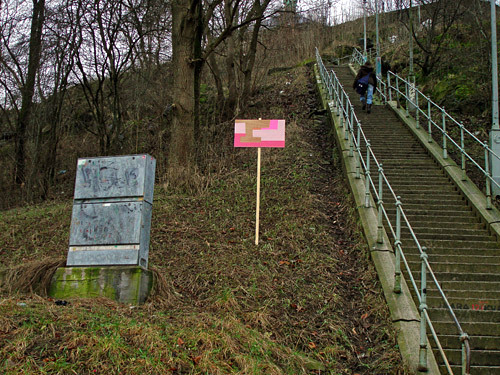 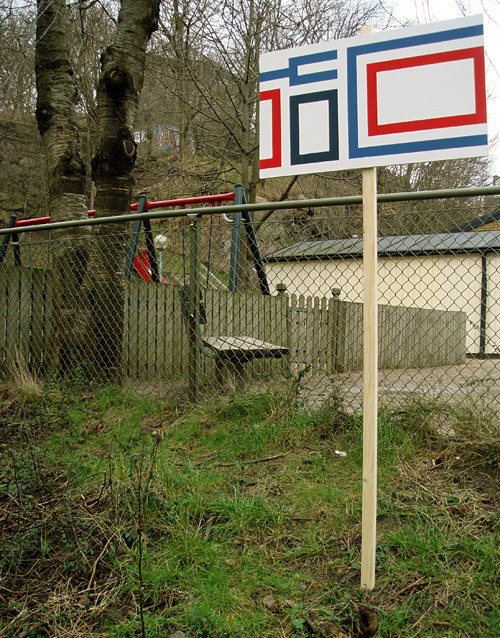 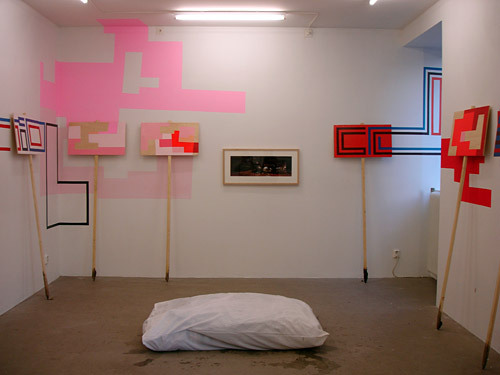 Eltono and Nuria Mora will place out 10 painted signs on public places around Galleri54 in Gothenburg. 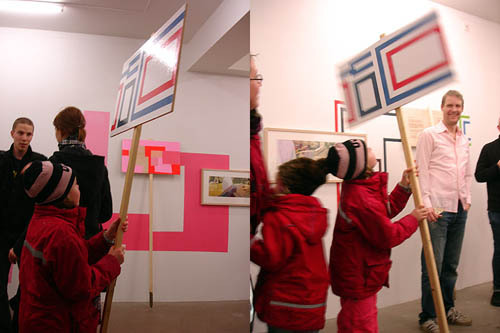 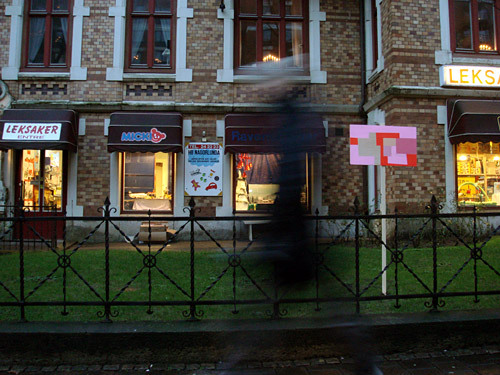 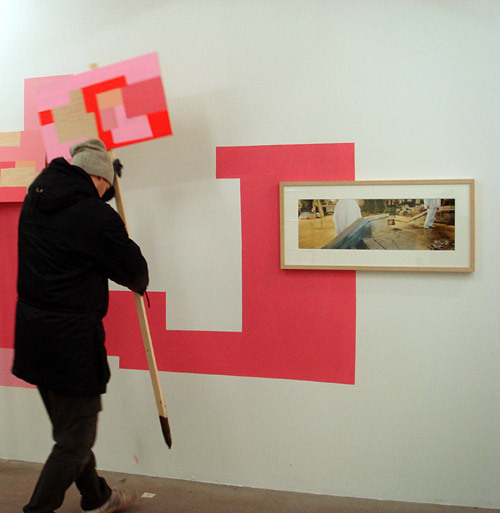 The audience is invited to take a walk, find and bring the artworks back to the gallery. 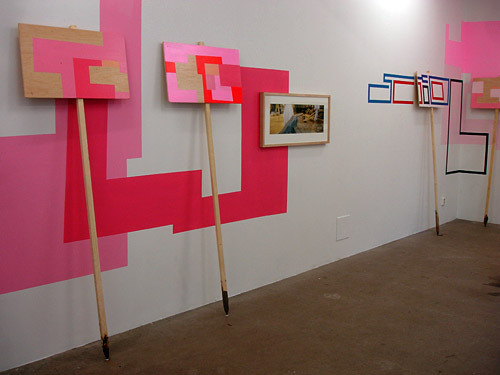 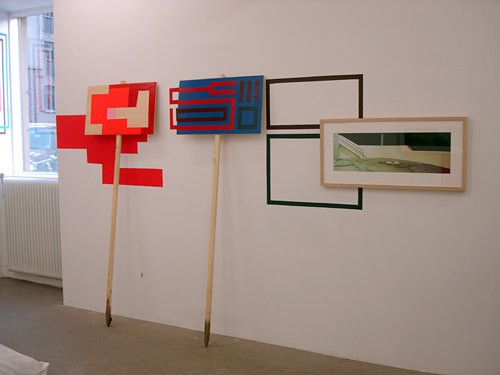 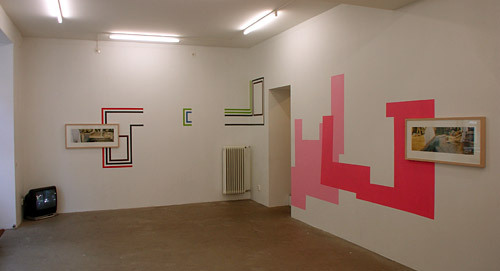 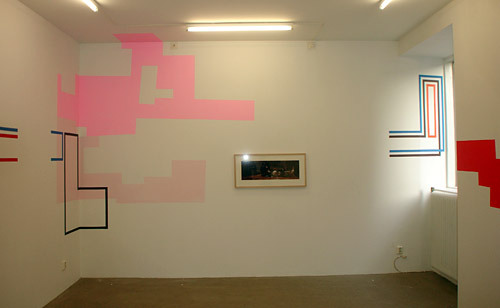 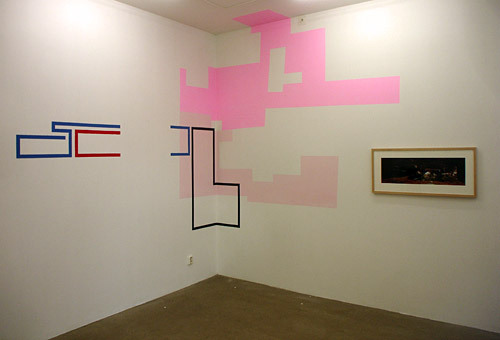 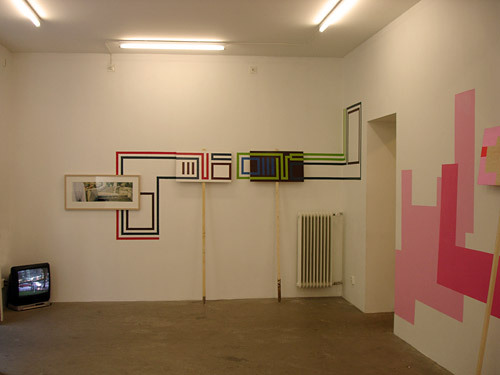 With this work Eltono and Nuria are reflecting on the limit between public and private space. 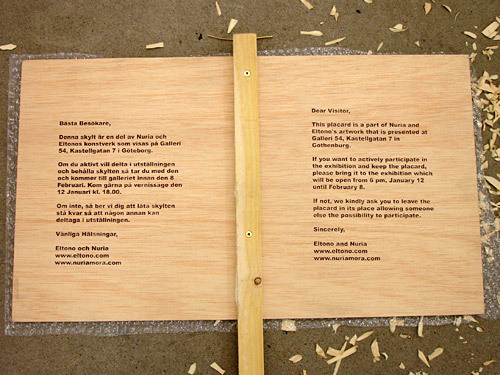 At the end of the show, each placard will be signed by the artists and given back to its finder. 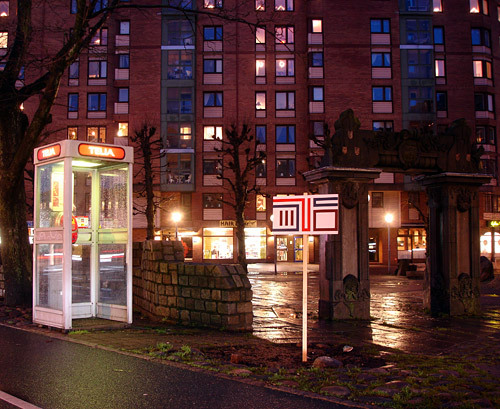 Per Hüttner shows four new photographs he took at night in Spain in collaboration with Nuria. 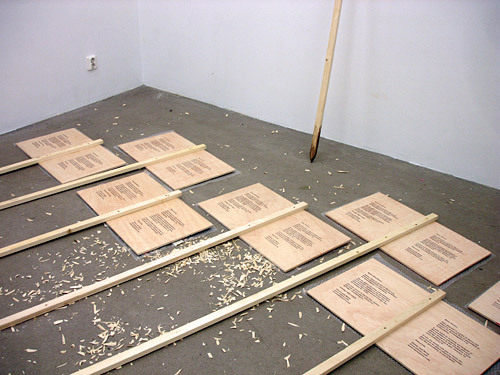 The pictures were taken on public places and show items that are normally found in private spaces. 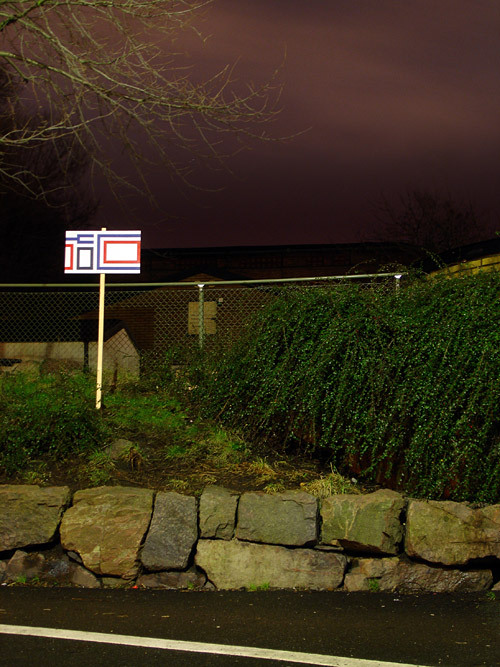 This genuine, but nevertheless absurd situation is stressed by the night light and the long exposure times. 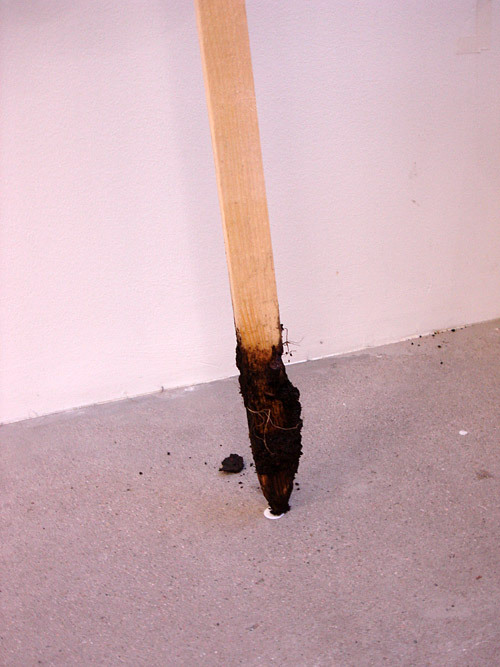 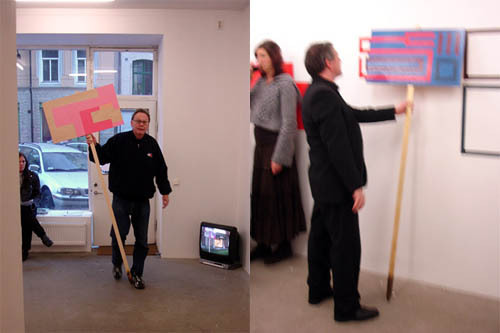 Hüttner also will present a sculpture that links the gallery space to the photographs. 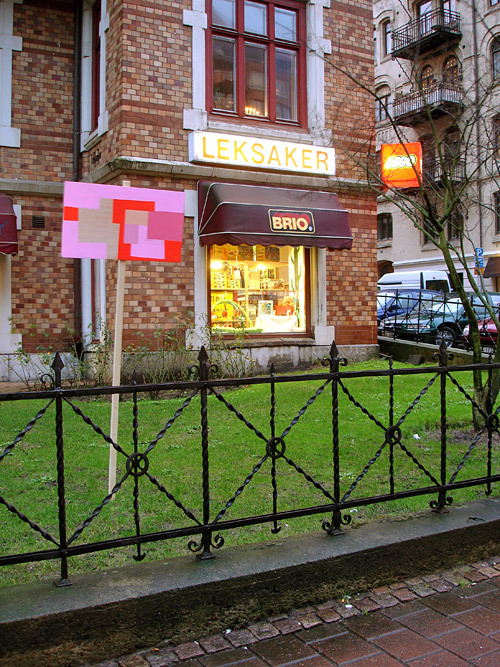 Project realised with the help of the French Embassy in Sweden. 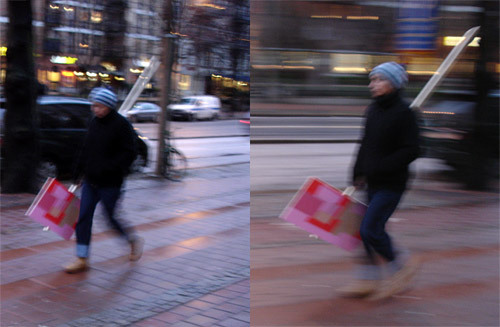 10 signs out of 10 came back.